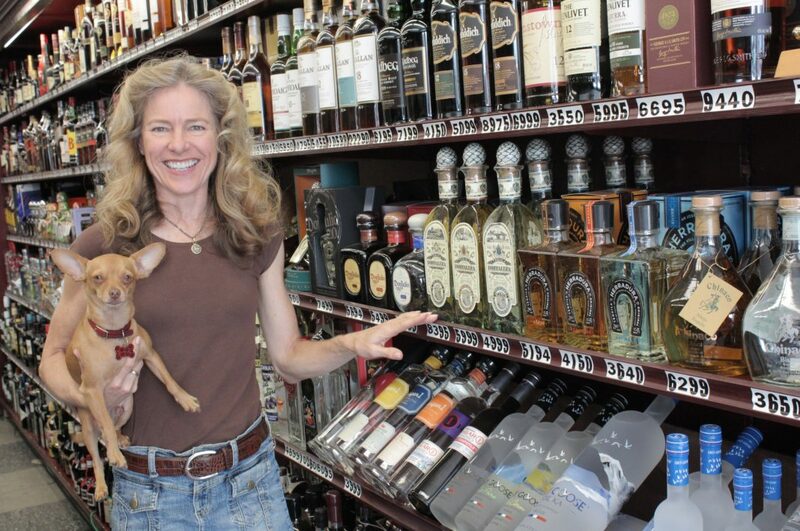 Almor Wine & Spirits on Sunset Boulevard has been a family-owned liquor store serving Hollywood for 59 years. It’s managed to battle big chain stores like BevMo by catering to customers’ needs in a small-town way; be it hunting down bottles customers discovered in restaurants, to offering a Zankou Chicken order pickups to go with the free delivery ($20 minimum). There’s even an Almor mascot, Oliver the friendliest Chihuahua ever, who greets you at the door. Owner Mary Michiels, who bought her parents’ business in 1988, fosters the whole sense of community by being on a first-name basis with customers as well as looking to her staff for suggestions on what to carry. “I strongly believe in this group decision because this way my entire staff is familiar with the spirits we are selling,” said Michiels. “Craft-made shrubs, syrups, and bitters add nearly unlimited depth, and complexity to your drinks for a very small investment. Local producers like Glossop’s Syrup ($12.95) from Los Angeles are making wonderful concoctions like Smoked Sugar, Hibiscus Ginger, and Grapefruit Mint that can add fantastic variety to cocktails or even sodas. “In a market that’s seen the prices of American whiskies soar, you can still get great bottles for great prices. Rittenhouse makes a rye that’s bottled in bond at 50 percent ABV and retails for $27. Buffalo Trace bourbon is another classic go-to that’s still in the same range at $25. “Another example of locally produced spirits, the Ventura LimoncelloCompany makes delicious, authentic citrus liqueurs that can make a host of refreshing summer cocktails and a 375ml bottle retails for under $20.